'Each application will cost €7, but that fee will be waived for those under 18 or over 70, and applicants who are family members of EU citizens'. Will this alao apply to family members of EEA citizens (eg Norwegians)? Yes, also to family members of Swiss citizens, since the fee waiver applies to the non-EU non-visa national family members of any citizens covered by a free movement agreement with the EU. 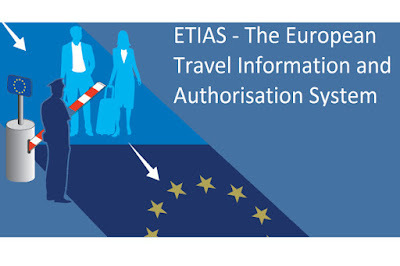 And remember if such persons have a residence card or residence permit as defined by the relevant EU law they are outside the scope of the ETIAS law completely. Thank you for this comprehensive analysis. I am a British Citizen and live in Luxembourg and have a permanent residence card. This is credit card sized with four sides. I think therefore except from ETIAS. Will there be a uniform residents card in the EU27. In principle there is a uniform residence permit already, as set out in EU Regulation 1030/2002, as amended. UK citizens in the EU27 might not be holding such a permit before Brexit, however. Thank you Steve. My permit issued in 2002 is of similar size but has no photo. Of course it was issued to me as a member of an EU state (Britain) not a third-country National. At the moment non-EU citizens from non-visa countries are checked at the external border in the SIS but not checked for travel authorisation in advance. "A number of these rules are waived for family members of EU citizens, in light of their rights under free movement law." I've got a stepbrother in Ireland. Does that count? And which rules will be waived? You would have to be living in Ireland as a family member of an EU citizen to be covered. A step-brother would only be covered by free movement law on an exceptional basis and subject to government discretion.